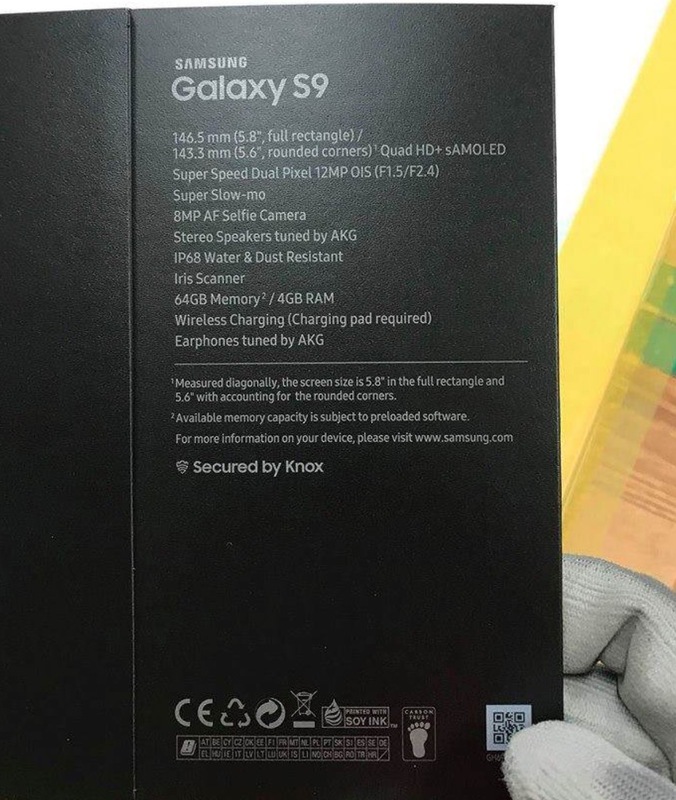 Is This the Galaxy S9’s Retail Box With Specs? With CES 2018 coming to a close, we’re officially in Samsung Galaxy S9 hype mode. All we are going to hear about for the next several weeks leading up to MWC is going to be the Galaxy S9 and Galaxy S9+. And that all kicks off today with what may or may not be a picture of the box that’ll wrap around Samsung’s next phone. The image showed up at reddit over night and resembles Samsung packaging in many ways. Well, I should clarify that it resembles non-US Samsung Galaxy packaging, since this doesn’t match up in almost any way to what we see on Samsung phones here. It does match-up to UK packaging, though, and so we’re talking about it today. The box suggests that the regular Galaxy S9 will sport a 5.8-inch display when measured as a full rectangle or 5.6-inch when measured with rounded corners. 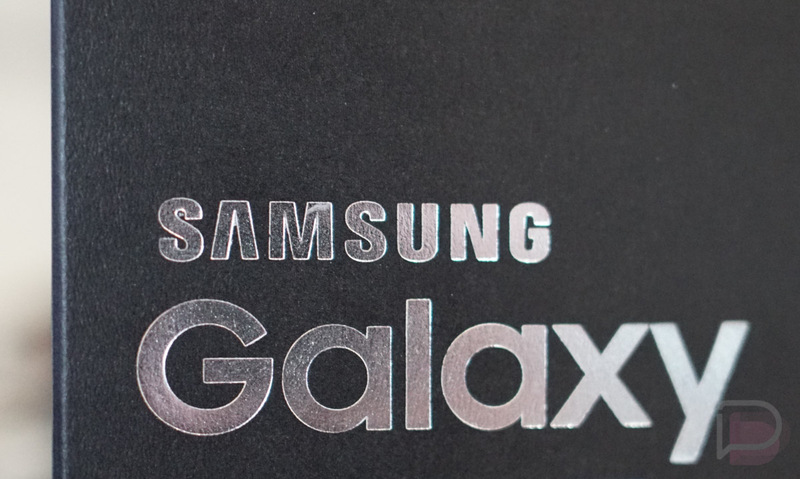 It’ll have a resolution of Quad HD+ and is a Super AMOLED display. The box also suggests a “Super Speed Dual Pixel” 12MP camera with optical image stabilization and a max aperture of f/1.5. There is a note there about “Super Slow-mo” with no reference to what that means, as well as an 8MP AF Selfie Camera. Additionally, we’ve got stereo speakers tuned by AKG (earphones too), IP68 water and dust resistance, Iris Scanner, 64GB storage, 4GB RAM, and wireless charging. A lot of that matches up to previous reports. What’s really interesting here is the suggestion that the 12MP camera will have a variable aperture along with OIS. We won’t know what “Super Speed” means, but the F1.5/F2.4 aperture suggests a camera similar to the shooter in Samsung’s ridiculously expensive W2018 flip phone, which did have an F1.5/F2.4 camera. That camera was smart enough to shoot at F1.5 in bad lighting and then switch to F2.4 in good lighting. The “Super Slow-mo” section likely has to do with the camera, but the random mention of it here without reference to anything is kind of odd. It also seems odd that Samsung would separate out the stereo speakers mention without slotting it in next to the earphones line, both of which are tuned by AKG. Something seems fishy about it all to me, but nothing sticks out as being the “Gotcha, that’s fake!” mistake. If this is all legit, then the camera on the Galaxy S9 may be insane. Best of CES 2018: Nanoleaf Light Panels, Synaptics In-Display Fingerprints, NVIDIA BFGD, and More!